Ginger - Now Organic International B.V.
NOW is selecting the best pieces for the fresh market. In our company owned packing station the roots are going through a full automatic washing line. Hand selecting on size, appearance and brightness of the roots, gives our customers the best quality for the retail market. Fresh ginger is used for cooking and for ginger tea. 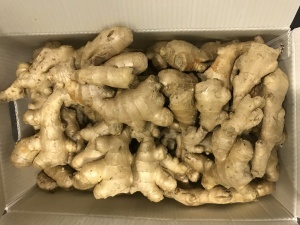 Fresh organic ginger is available in packaging from 150 gram until 13.6kg cartons. 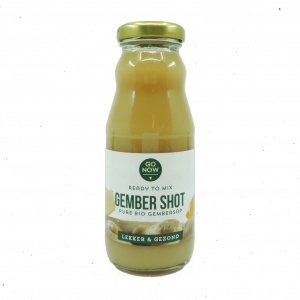 Also conventional ginger juice is available. Fresh ginger is processed into puree for the food processing industry. In a state of the art factory in The Netherlands we process organic ginger puree in bulk or on customer specifications. 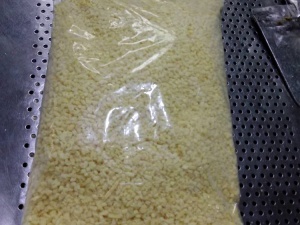 For example IQF pellets processed in 8 gram cubes or bigger. IQF frozen ginger dices are mainly used in the food processing industry and the out of home market / wholesalers. Also as an ingredient for frozen fruit in consumer packaging for smoothies you see more often in the supermarkets. Size and packaging on customer specifications. Our producer can process from 4 mm until 10 mm. For inquiries or more info please contact our sales office.